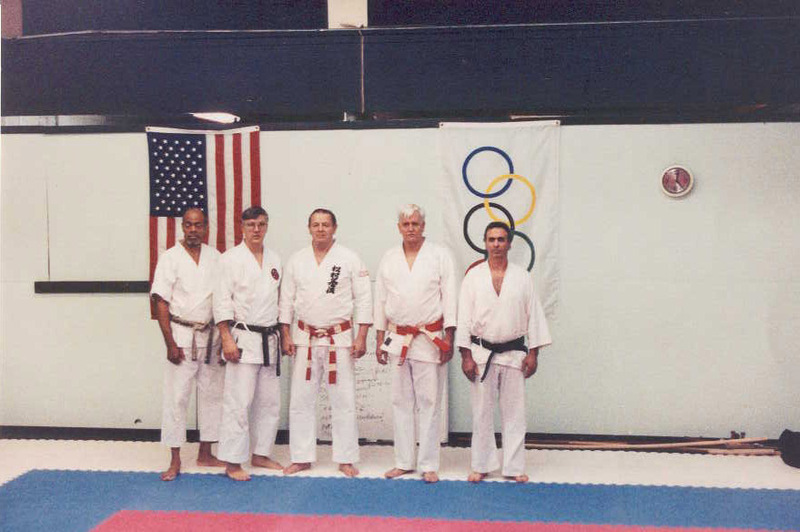 Thomas LaPuppet, Patrick Hickey, Phil Koeppel, Hanshi George Anderson, Robert Saal. 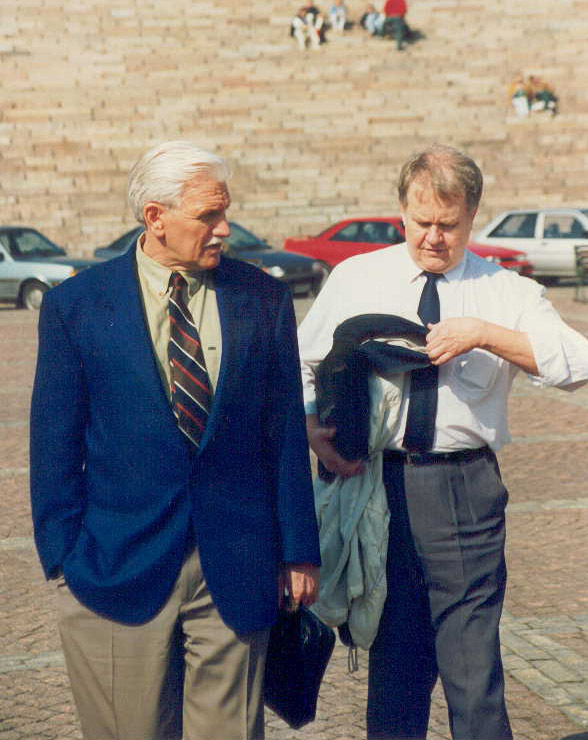 George Anderson with Paul Hoaglund. 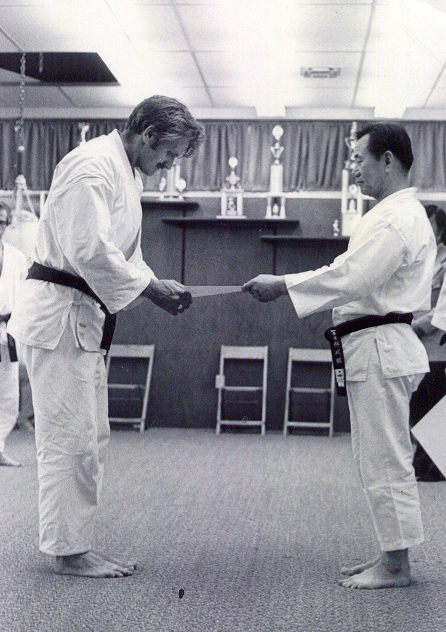 George Anderson receiving promotion from Rho Byung Jik. Anderson was also extremely successful at the world karate level. 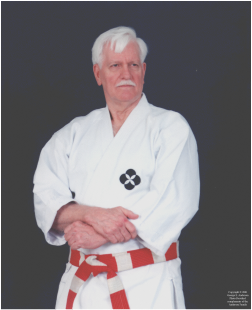 He was elected president of the Pan American Union of Karate Organizations, chairman of the powerful World Union of Karate-do Organizations (WUKO) Referee Council, and later WUKO's first Vice President. 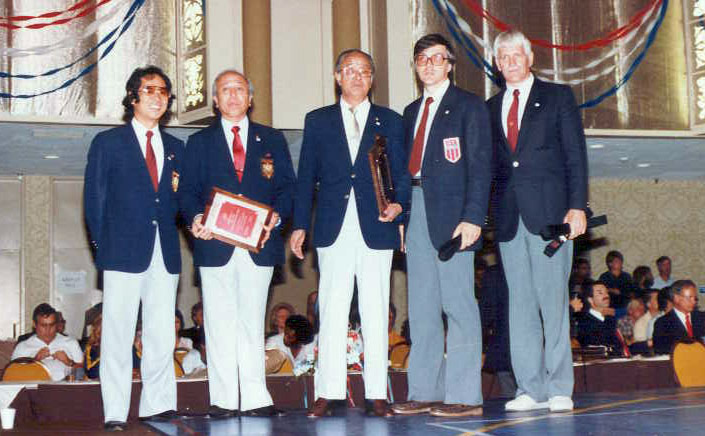 As head of the World Referee Council, he organized the WUKO/WKF's first technical congress, where the international rules for Karate were rewritten and categorized. He was also instrumental in getting karate included in the Pan Am Games. 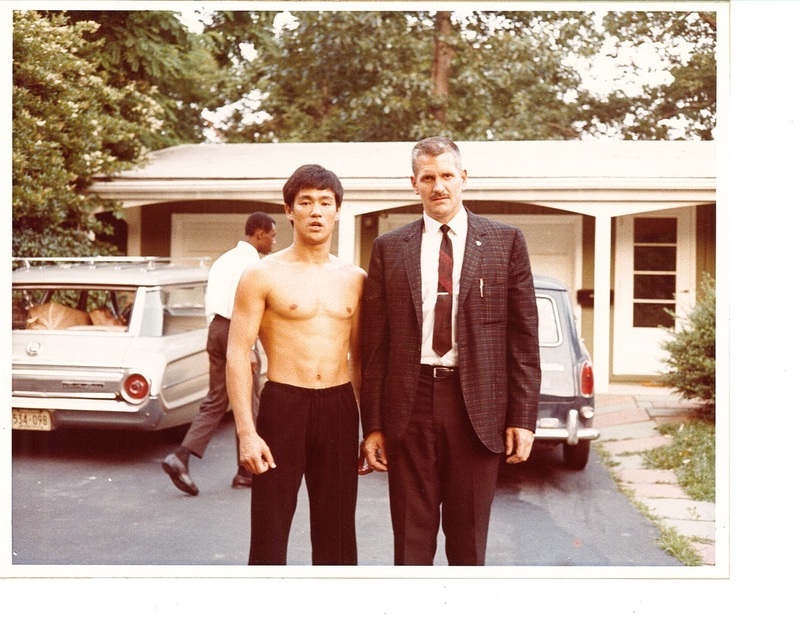 Among his many friends, students, and confidants were such martial arts luminaries as Robert Trias, Sadaki Nakabayash, Fusigero Takagi, Masafumi Suzuki, Ki Wang Kim, Byung Jick Rho, Ki Whang Kim, Richard Chun, Henry Cho, Kang Rhee, Kim Soo Jin, Jhoon Rhee, Mon Soo Park, Chong Lee, and Park Chul Hee.